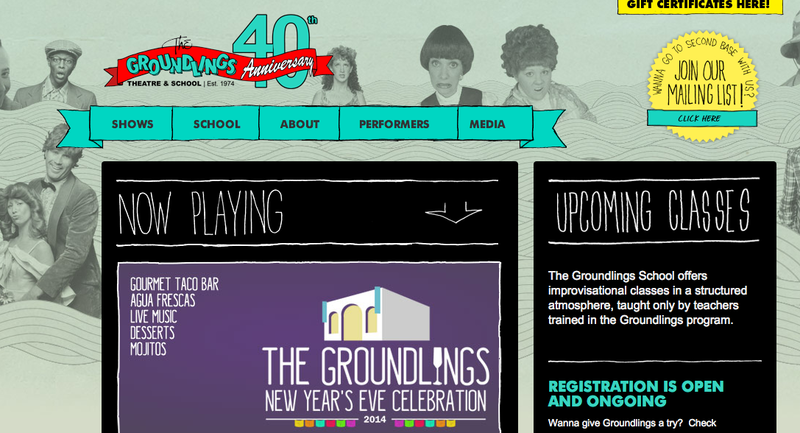 Last week I went to an Intro To Improv class at the Groundlings. I want to take their Sketch comedy writing class so I figured taking an intro class would be fun. Also the greats went to the Groundlings including Willy Ferrell, Melissa McCarthy, Pee Wee Herman, Kristen Wiig and a bunch of other hilarious people. Steamroll over your mistakes. If you make a mistake, keep on trucking like you meant to do it. Don’t get hung up on and embarrassed by your mistakes. So true. As humans we often feel the need to focus on our faults and mistakes…just steamroll them! Also, LISTEN to your partner. Most people don’t actually listen. They are too busy planing what they are going to say to listen to who they are with. It’s amazing how much easier it is to communicate and relate to other people when you actually LISTEN to each other. Listening is an action verb. You should try it sometime. Affirm and support your partner. There was an exercise where you sat with your partner and whatever they say, your response it, “Yes and…” It’s nice for someone to listen to you and affirm what you’re saying. It’s so easy to point out our mistakes and the faults of others. Steamroll your mistakes and others too. How awesome is it to support the people around you and be supported. Live in the moment. Don’t try to be funny and plan what you’re gonna do. Just be present and have fun. There were a few other things but it was a whole week ago so I kinda forgot. Keep it real homies!